How? No how, just do! Avoid spikeys, xamine cloos, think hard, and keeping to go, plz! I’m not going to give away the secrets to this one, see how far you can get before the game out smarts you. I got to level 67. 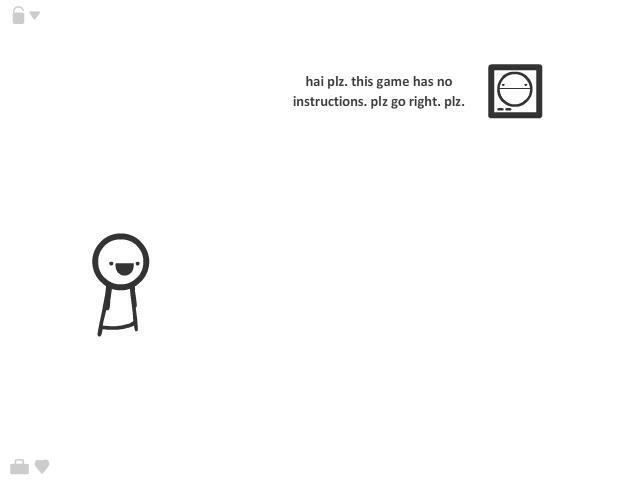 This entry was posted on March 29, 2010 at 4:13 pm and is filed under 4 stars, Puzzle, Random, Simple with tags addicting games, I dont even, i dont even game, Puzzle. You can follow any responses to this entry through the RSS 2.0 feed. You can leave a response, or trackback from your own site.